When we think of a Walmart store here in the USA or in Canada, they are normally pretty standard. Nothing too exciting happens and you just walk in, get your groceries and walk out. 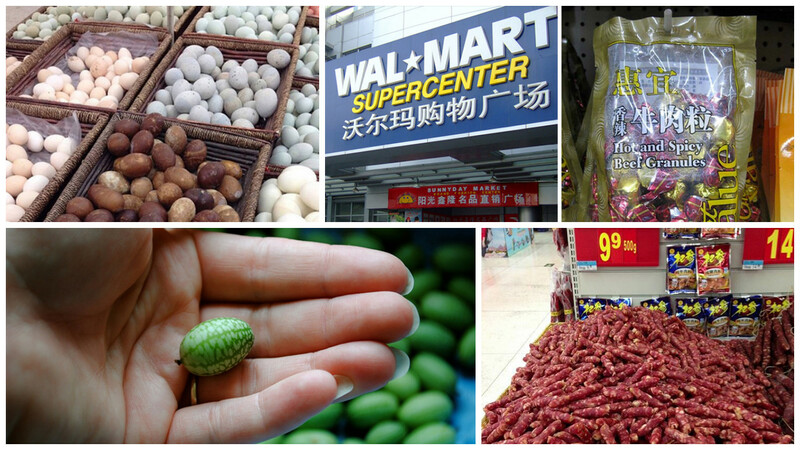 However, the same can’t be said about China, as you can buy some pretty strange things. Imagine walking through a Walmart and seeing this. 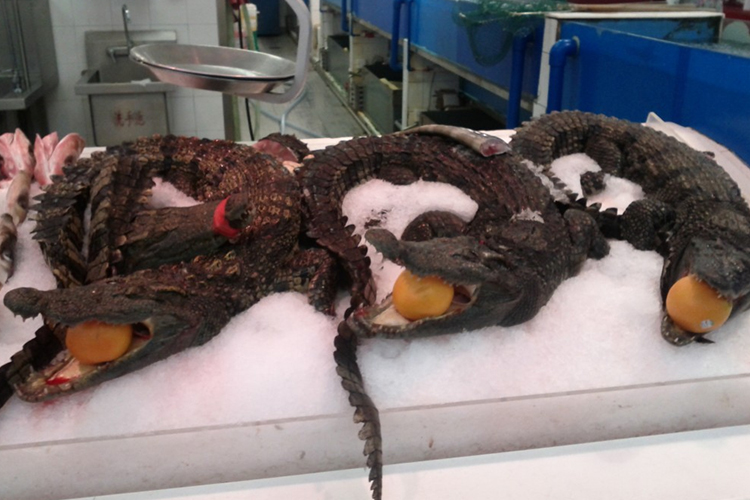 Not only do these stores in China carry pieces and parts of a crocodile, they sell the whole thing! Right in the area next to the fish and other seafood is where you will find these beasts. I must say, though, the presentation of these crocodiles is fantastic. They are almost appetizing. In America, we love all different kinds of seafood. From fish to clams to lobster, we eat it all. However, in China, they take that to a completely different level. 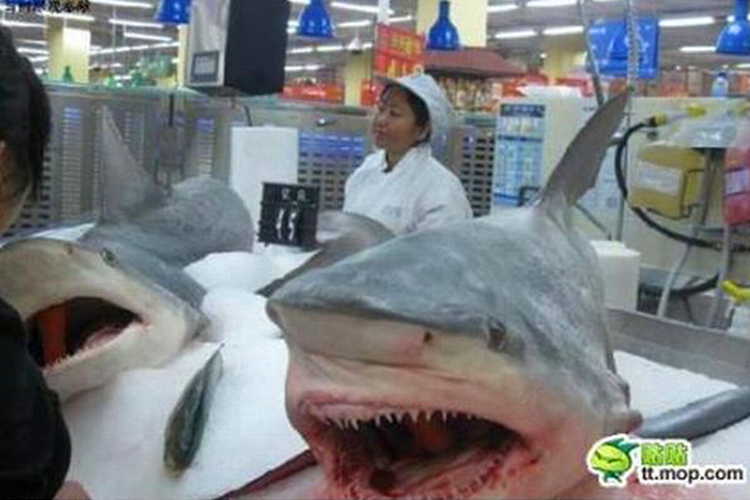 They actually sell and eat shark heads, which is an incredibly scary sight to see a shark staring back at you from the shelf. Hey, seafood is seafood, but I don’t quite understand the logistics of getting the shark home with you. In the West, we go absolutely crazy over pork. Whether it be bacon or a nice juicy pork chop, we often have no problem eating pig. However, we don’t often buy and consume their faces which, as you can see, is something they do in China. 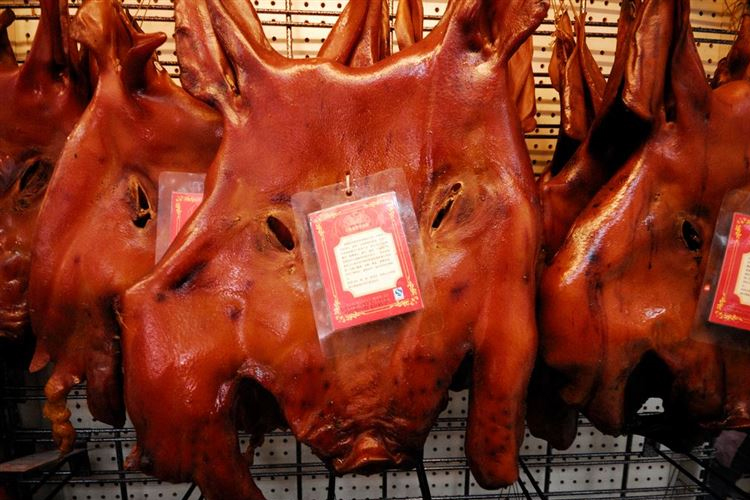 Sure, pig faces could potentially taste good, but they look super freaky just hanging on the shelves like that. When it comes to eating wild animals, usually American’s don’t have a problem with that. But when it comes to animals such as fox, we often draw the line. 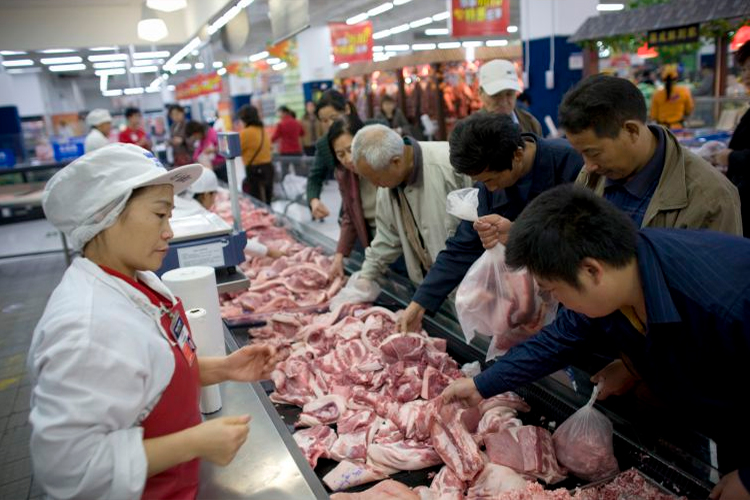 But in China, you can see this is a very popular type of meat as people are lining up to get their hands on some. Also, I’m no health professional, but should all of those people just be barehanding the meat like that? Now, chicken is something that we LOVE here in the West. It is probably the most popular meat and most people eat it a few times a week. However, the Chinese likely enjoy it even more than us, as they even eat the chicken feet, which few people do over here. 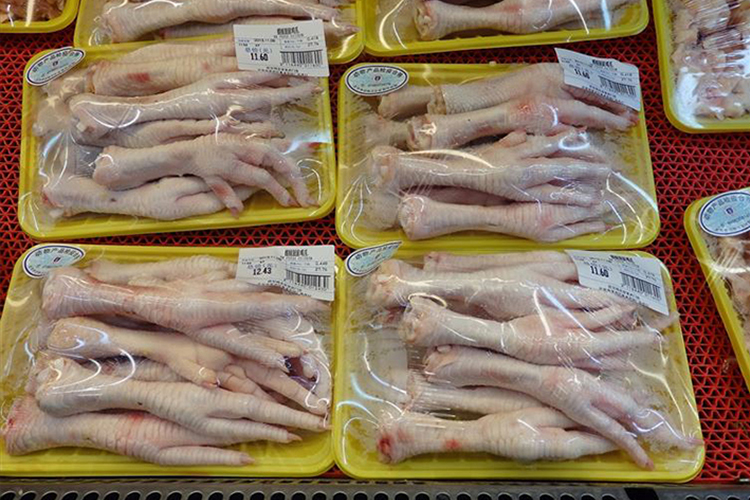 The packaging of chicken feet out in the open like that probably wouldn’t go over as well here in the states.